October is here, and in addition to the real start of autumn, that means it’s Fire Prevention Week October 7th through 13th. So let’s take a moment from jumping in leaf piles and consuming pumpkin pies to discuss how to be prepared for fire safety. According to FEMA, yearly fire-related deaths have dropped from about 12,000 in 1974 to 3,245 in 2006. And it keeps decreasing almost every year. While this trend is probably due to many different changes, improved water infrastructure has undoubtedly helped. 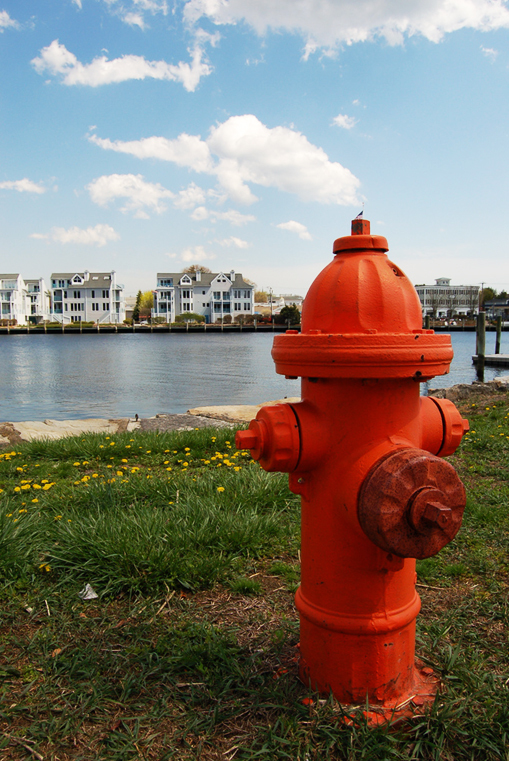 The increasing nationwide availability of pressurized fire hydrants allows emergency workers to extinguish blazes with greater and greater speed. In fact, the reliability of a well-maintained water infrastructure has a lot to do with adequate fire protection for communities. Keep fire hydrants clear of debris. Although they’re usually located curbside, try not to pile trash around them. Mow around fire hydrants. If weeds or grass are enveloping them, make sure to trim around them during your regular yard work. Don’t plant flowers or shrubs next to a hydrant. Give them some breathing room and kindly focus your horticultural pursuits elsewhere. Shovel the snow and ice around hydrants. A municipal employee might be along to do that at some point, but why wait until it’s too late? 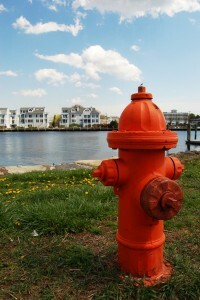 Report a damaged hydrant. Does something look wrong? Is a valve damaged or is the snow flag missing? Call it in! And finally, for the love of all that is good, don’t park in front of a fire hydrant! Jack-O-Lanterns are a timeless autumnal sight. But if you’re using candles to create that flickering glow, there may be a potential for a fire. Consider using an electronic candle – they even make ones that flicker! If you’re burning leaves this fall, be sure to have a pressurized water source nearby. With an unexpected gust of wind, this tradition has the potential to abruptly turn dangerous if not quickly controlled. Also, be sure to check with your local fire warden before burning outdoors. When you store your lawnmower for the winter, take time to remove the fuel. Flammable vapors can build up in unventilated environments. As the weather cools down, you may be tempted to use a portable heater. If you do, be sure to allow at least three feet of space between it and anything flammable. There are more year-round safety suggestions on FEMA’s site, as well as on the National Fire Protection Association (NFPA) site. Have a responsible Fire Prevention Week, and remember that before water is even necessary, it’s possible to have measures in place so that we can all enjoy the season with peace of mind.